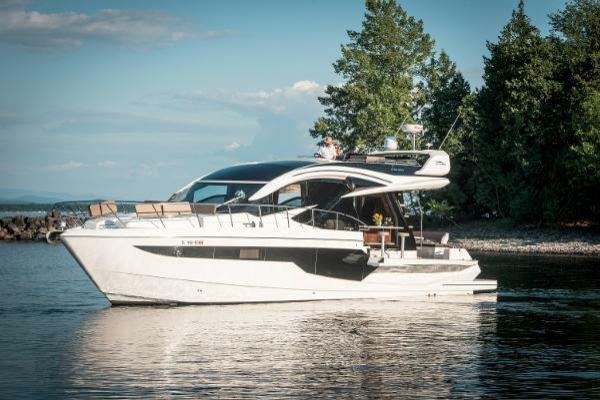 Sharing the new hull with the 500 FLY, the Skydeck offers an amazing amount of interior space on all decks – a staple of all Galeon third generation yachts. With broad windows all around, the passengers will enjoy a bright and welcoming atmosphere on the main deck as well as down below. 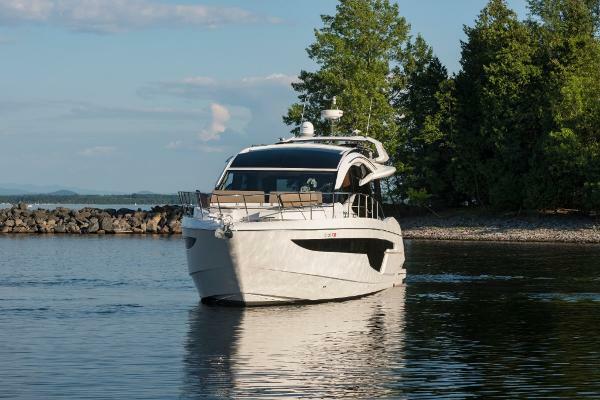 What sets the Skydeck models apart from other yachts is their ability to combine the advantages of having a bridge deck with the distinct, sporty look of a hardtop. 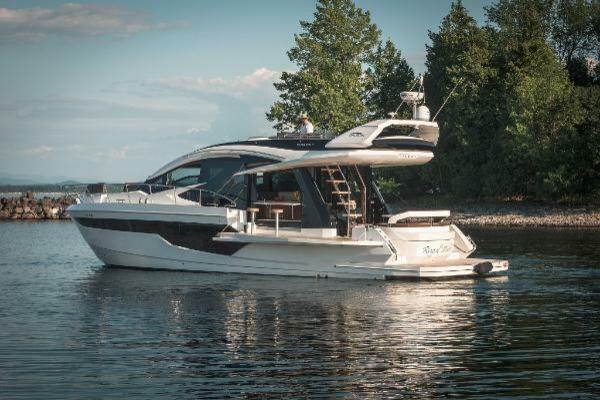 The Galeon 510 also features a full-sized sunroof over the lower helm and an automatic soft roof to cover the deck when necessary. Experience the power of innovation and the intense character of the amazing 510 Skydeck! 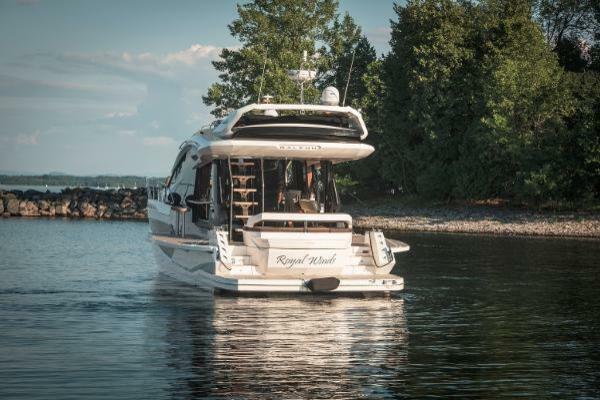 Sharing the new hull with the 500 FLY, the Skydeck will offer an amazing amount of interior space on all decks – a staple of all Galeon third generation yachts. With broad windows all around, the passengers will enjoy a bright and welcoming atmosphere on the main deck as well as down below. 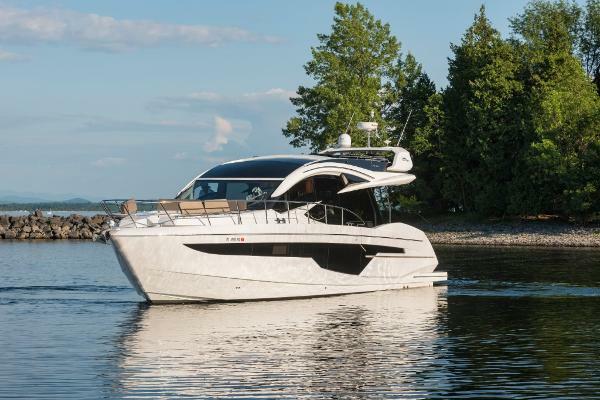 What sets the Skydeck models apart from other yachts is their ability to combine the advantages of having a top deck with the distinct, sporty look of a hardtop. 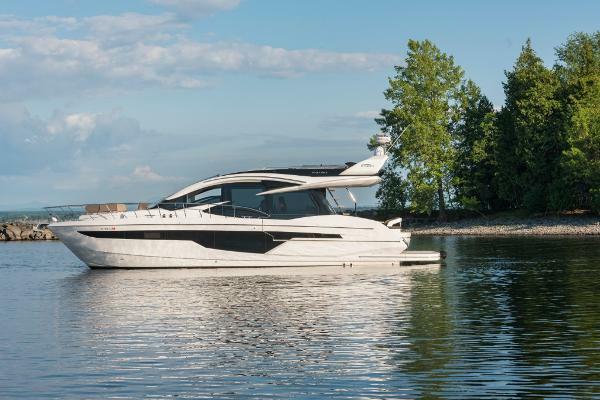 The Galeon 510 will also feature a full-sized sunroof over the helm and an automatic soft roof to cover the deck when necessary. Experience the power of innovation and the intense character of the upcoming 510 Skydeck!